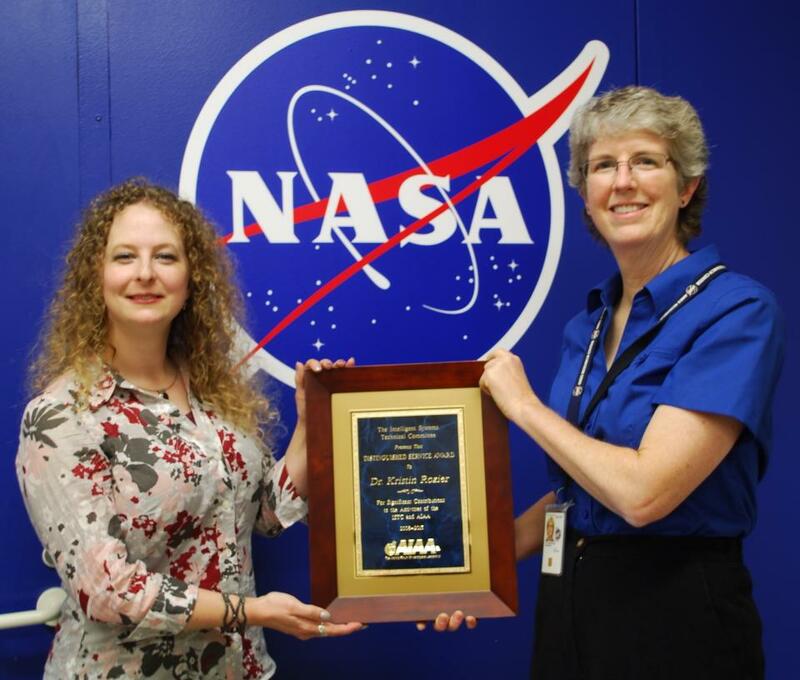 Women in Aerospace is proud to recognize nine outstanding women for their contributions to the aerospace industry and to the advancement of women in the field. These women will be honored at the 28th annual Women in Aerospace Awards Dinner and Ceremony with a reception and dinner. The event will be held on October 29, 2013 at the Ritz Carlton Hotel in Arlington, VA. The story was also picked up by SpaceRef! 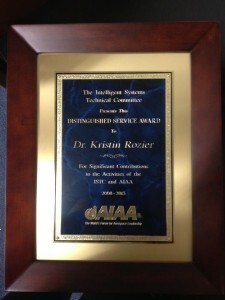 The NASA Astrogram, the official newsletter for NASA’s Ames Research Center, photographed the award presentation and featured the story Rozier receives distinguished AIAA award in their September, 2013 edition, page 11.